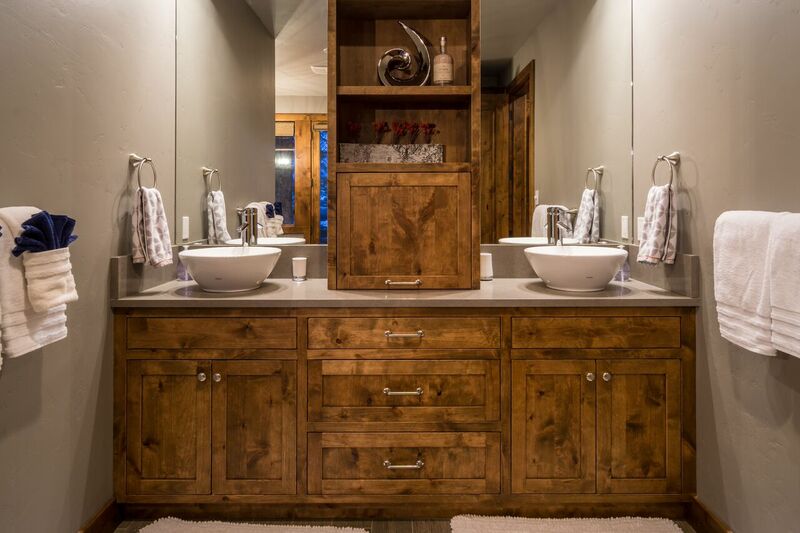 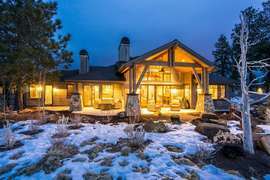 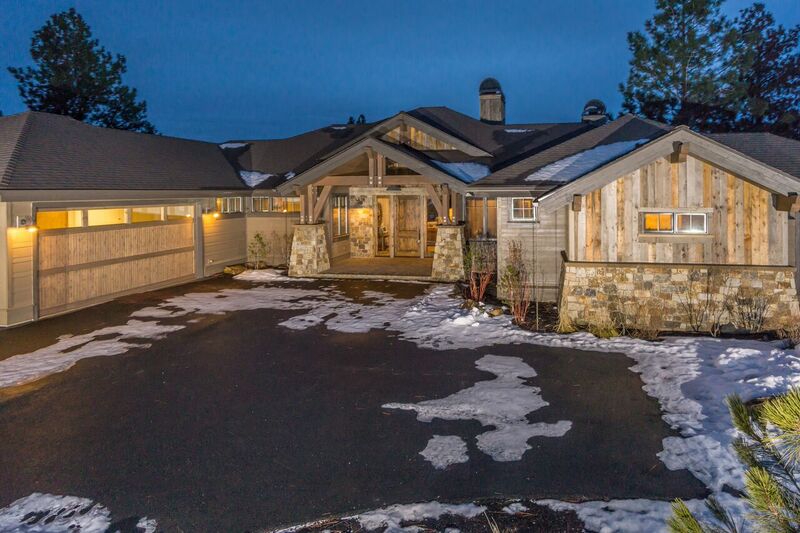 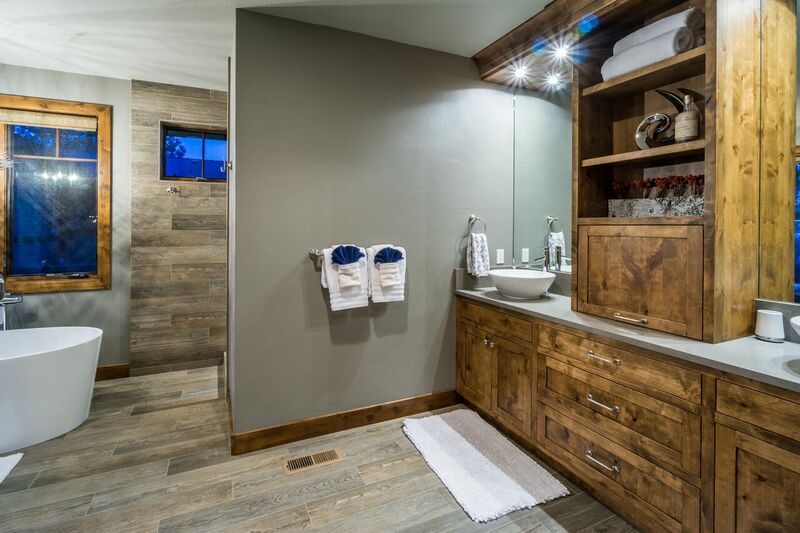 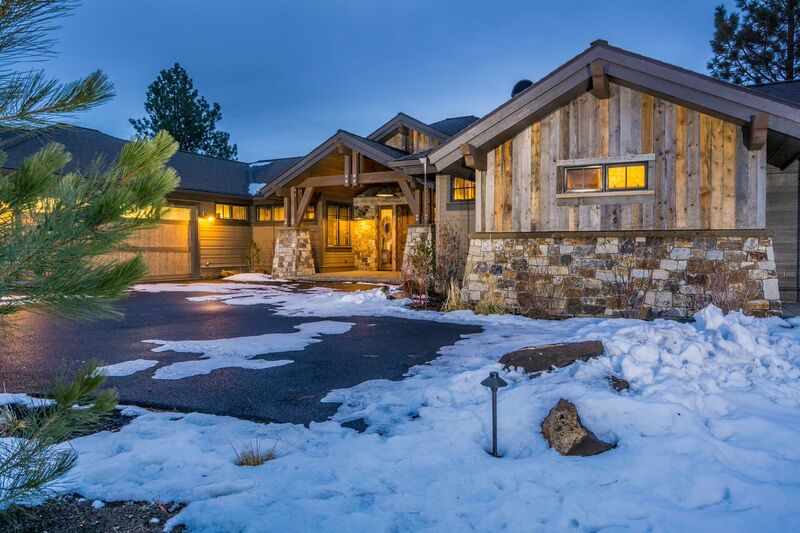 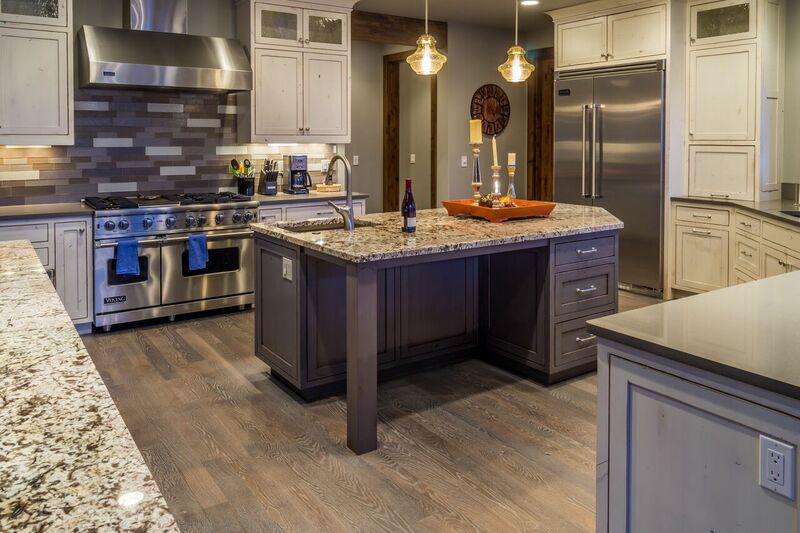 If you're looking for the best of Bend's luxury vacation rentals, Outcast is an ideal choice. 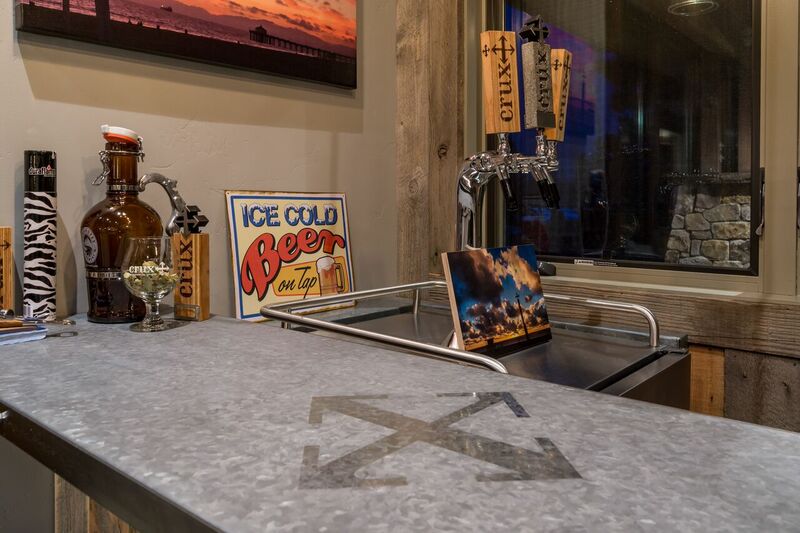 Named for one of the owner's favorite craft beers at Crux Fermentation Project, Outcast is the perfect balance of down-to-earth attitude and elegant luxury. 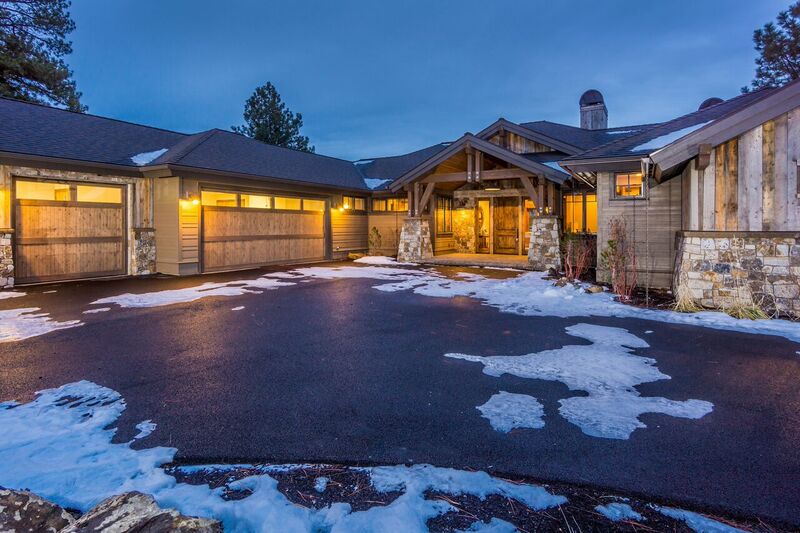 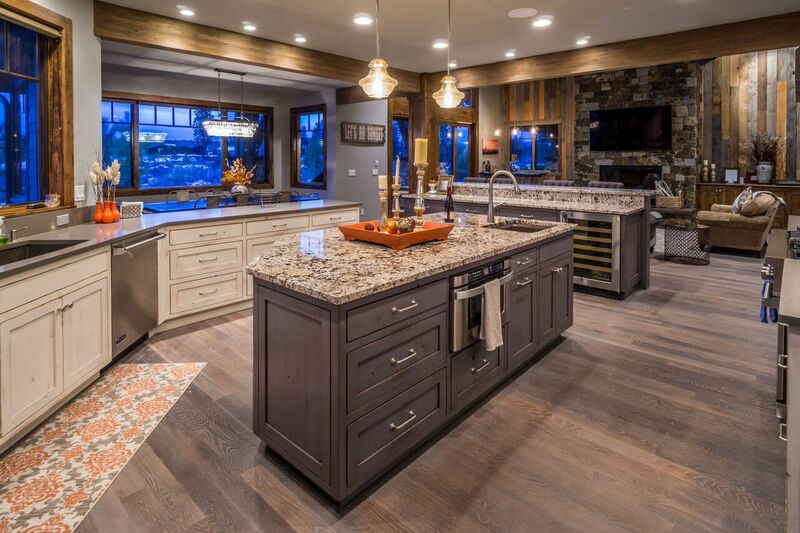 Located in the far-Westside neighborhood of Tetherow, Outcast is a single level, 4-bedroom, 4.5-bath custom home with impressive views of the Cascade Mountains and the award-winning Tetherow Golf Course. 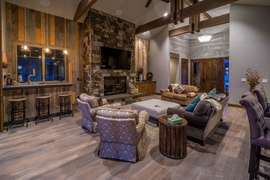 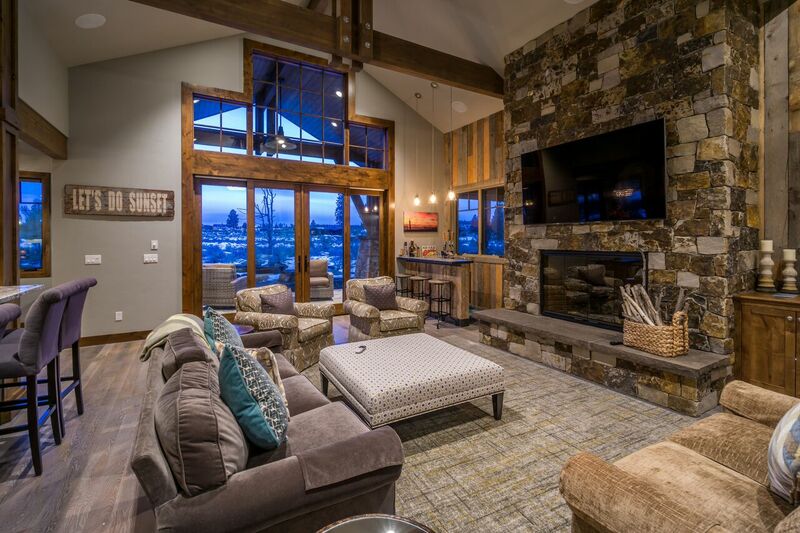 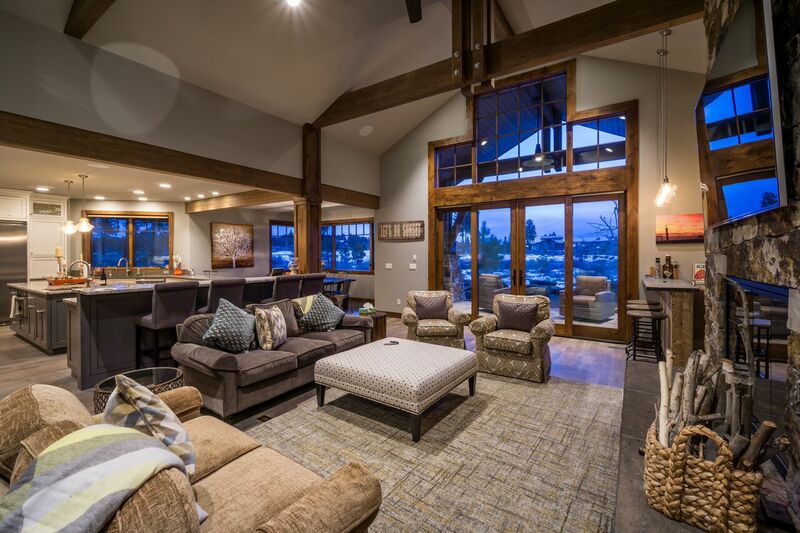 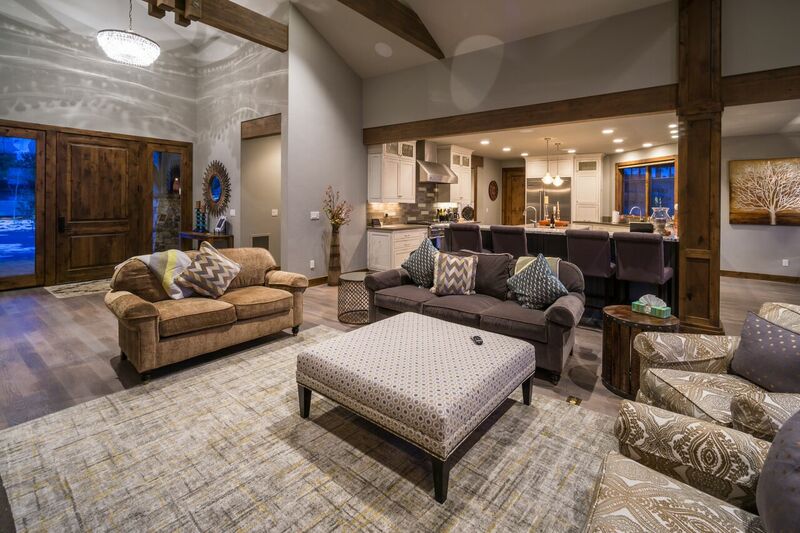 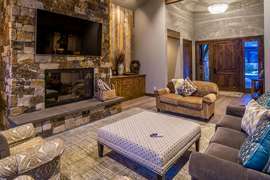 The open living space features a seating area with cozy furniture, a gas fireplace and large windows framing expansive views of the mountains and golf course. 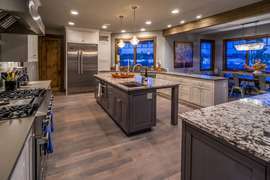 The dining room has seating for six just off the large, gourmet kitchen. 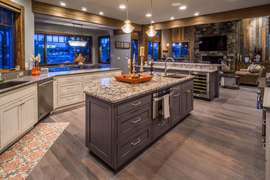 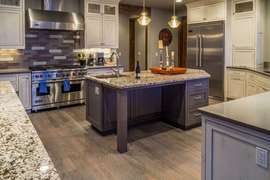 The oversized kitchen island invites visiting while gourmet meals are prepared with premium stainless-steel appliances. A Traeger wood-fired grill on the back patio allows you to finish off impressive meals. Enjoy relaxation with family and friends on the open back patio, equipped with fire pit- perfect for staying warm while watching sunsets and basking under the expansive starry sky. 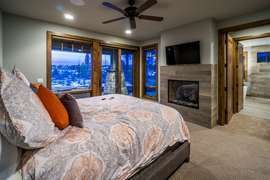 Outcast comfortably sleeps 8 with a Master King and two Master Queens. 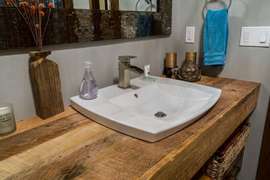 All master bedrooms feature en-suite bathrooms, including the luxurious master bath, which has a soaking tub and double shower. The King Master features a gas fireplace and large walk-in wood closet. Additionally, Outcast boats a large casita with flat screen TV, small kitchenette, separate entrance and the most comfortable Queen sofa pull out one can enjoy. 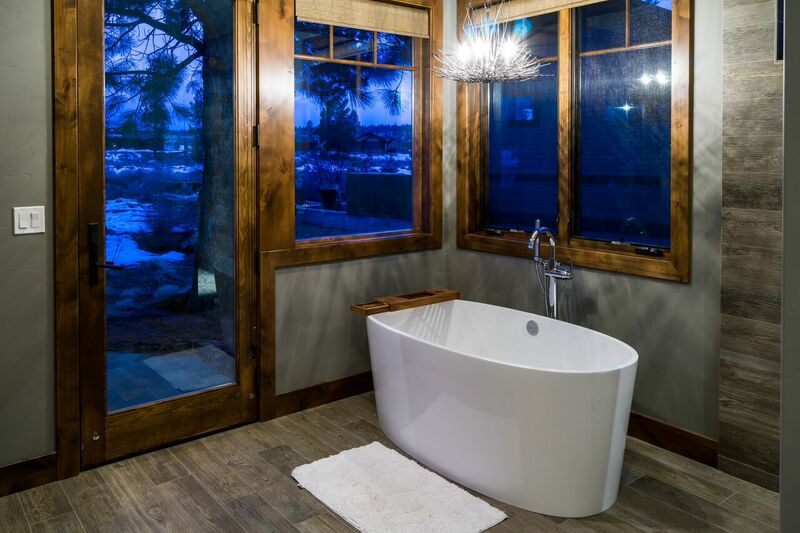 Guests are invited to enjoy complimentary membership to Tetherow's pool, cabanas, hot tub and new fitness facility. 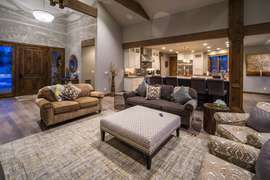 In addition, guests are entitled to a 20% savings at nearly everything the resort has to offer. 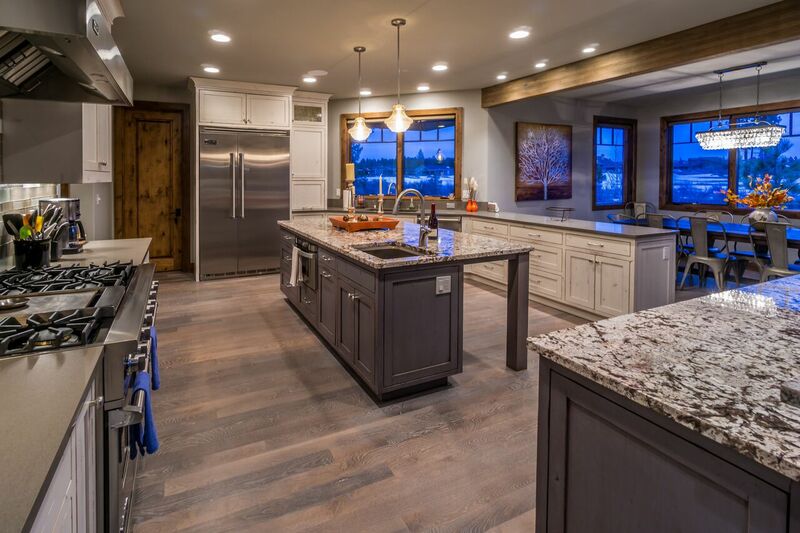 Enjoy the elegant fine-dining options at the restaurants of Tetherow, as well as golf, the swimming pool and hot tub, and the newly opened recreation center! 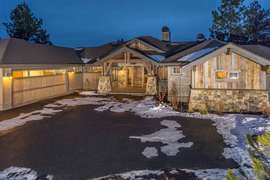 Outcast is conveniently located close to many trails, including Phil's Trails, the Deschutes River Trail, as well as Mt. 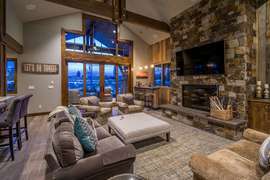 Bachelor and the Cascade Lakes. 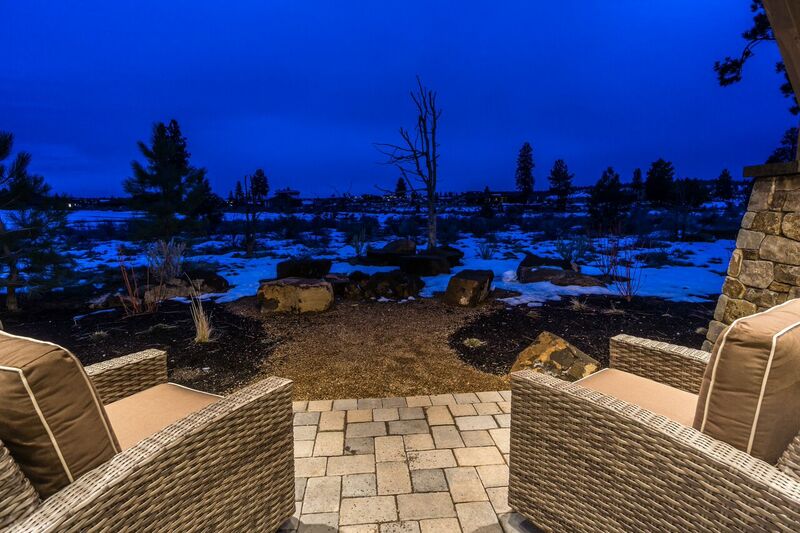 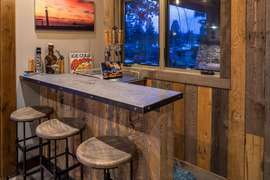 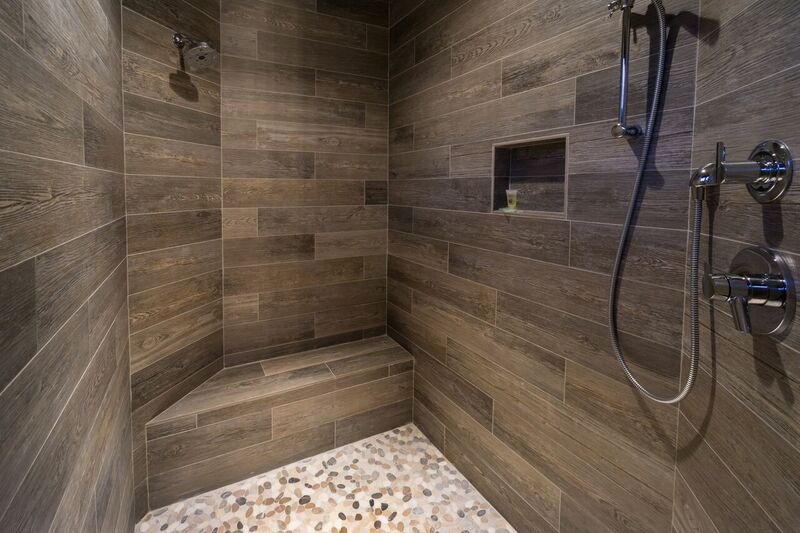 You'll also enjoy all the amenities of the west side, and easy access to the Old Mill District and Downtown Bend.